1. Why serpent king Takshaka wanted Arjuna Dead? Takshaka was the younger brother of the Adityas and is said to be the ruler of snakes according to Hindu Mythology. 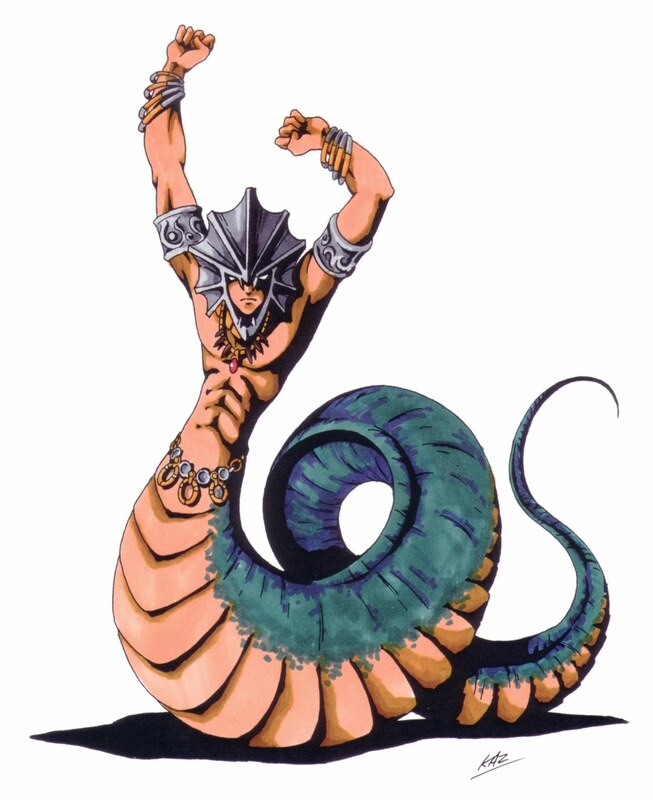 He was one of the Nagas named in Mahabharata. Takshaka lived in a city called Takshasila that was his new territory after his entire race was shunned by Pandavas, which was led by Arjuna. Further, Takshaka is also described as the King of Nagas and the friend of Lord Indra. Formerly, Takshaka lived in Kurukshetra and in Khandava Forest. 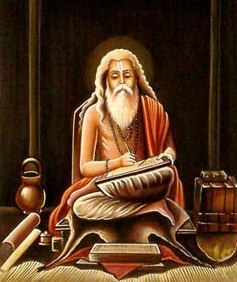 Vyasa continued, “Once, when Krishna and Arjuna were resting happily on the sands of Yamuna, oblivious of the world and its tangles, an aged Brahmin approached them and said, ‘Son, I am very hungry. Give me a little food to appease it. I cannot keep alive, unless you give me this.’ At these words, they were suddenly made aware of a strange presence. Though outwardly he appeared natural, there was a divine effulgence around him which marked him out as someone apart. 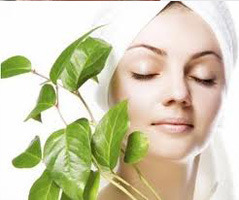 After taking leave of Krishna in this manner, Agnideva started consuming the Khandava Forest. 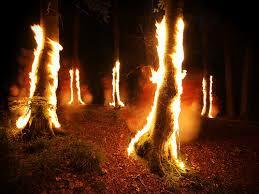 Just then, exactly as anticipated, Indra sent His attendants on the mission of saving the Forest from destruction. Their efforts failed to rescue it. They returned to their Master and reported their embarrassment. 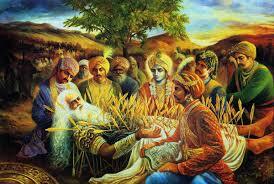 So Indra Himself with His stalwart followers rushed to the scene, to save the Khandava Vana, and fell upon Arjuna. 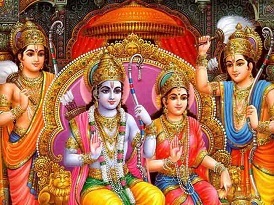 Arjuna received Him with a shower of arrows from his famous Gandiva bow. 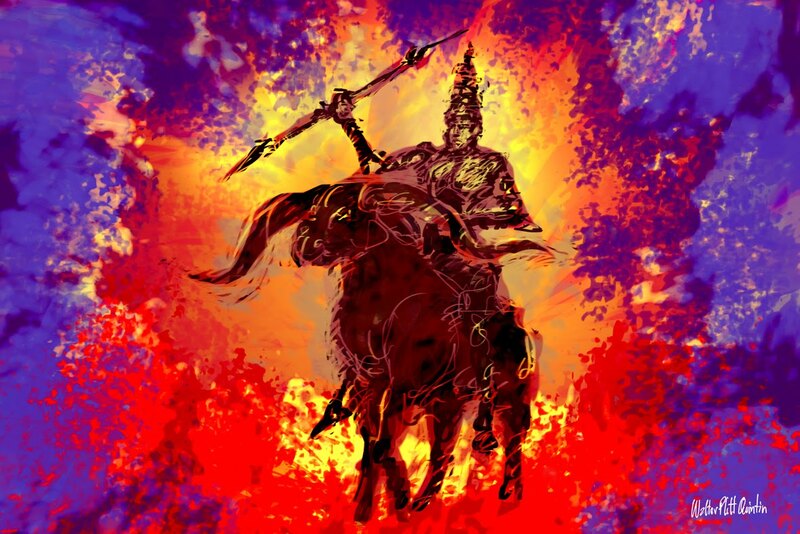 Indra, too, fought with all His might. Within minutes the followers of Indra turned back, unable to withstand the rain of arrows which pelted them from all sides. Indra realised that the person who inflicted the defeat was His own son, Arjuna. He was overcome with shame at this. He regretted that He could not defeat His own progeny, and returned sad and chastened. “Meanwhile, the God of Fire consumed the Forest merrily and with hearty appetite, swallowing everything with His thousand red tongues and raising a huge conflagration. Only ash was left behind. Seeing this, the birds and beasts of the forest tried in vain to escape from the holocaust. They were caught by the flames and roasted alive. 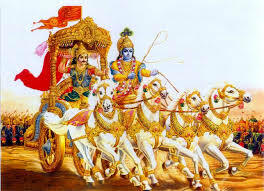 Krishna was going round the Forest in His chariot to prevent any denizen from running out into the open for safety. He discovered the snake Thakshaka, a great friend of Indra, in the act of escaping from the fire. 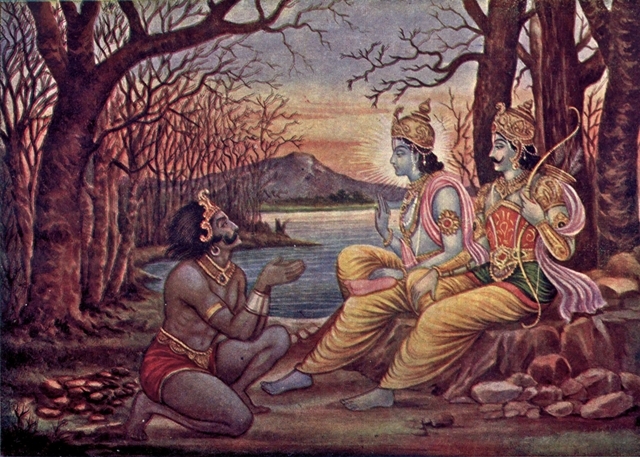 Krishna called Arjuna. This gave Thakshaka the chance to wriggle out and speed towards Kurukshetra. Arjuna continues, “It must fill all who see it with amazement.” Duryodhana was overcome with envy at the sight of that amazing palace. He and his companions were puzzled and humiliated, when they were led to believe that there was water where there was none and that there were doors where there were no doors! They fell in so many places and knocked their heads against so many walls that they nurtured unquenchable hatred against the Pandavas. 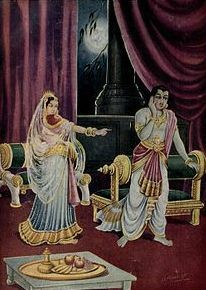 It led to the Game of Dice and Draupadi’s humiliation. 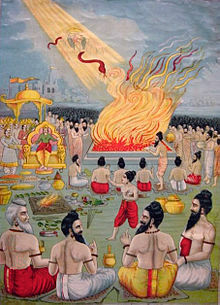 As per another version of the same story, it is said that Arjuna did not burn the Khandava Forest for someone else; rather the Pandavas burnt it down since they wanted to establish their kingdom and fort at the same place. In the fire Takshaka’s wife was killed, but their son Ashwasen, escaped. Indra, created a great gust of wind that compelled Arjuna to swoon for a few seconds. In this brief time, Indra helped Ashwasen escape. After this incident, Aswasena moved to the Nether world and lived there. During the Kurukshetra war, when Karna was battling Arjuna, Aswasena perceived an opportunity to exact revenge for his mother’s death. He emerged from the earth and entered Karna’s quiver in the form of an arrow. When Karna deployed this weapon, Krishna pressed down his feet causing the chariot to sink. As a result, the arrow hit Arjuna’s crown that was given unto him by Indra and shattered it to pieces. Ashwasen, came to Karna and said, "It was I who entered into your arrow to kill Arjuna. Now please use me once again." "It is beneath my dignity to use the same kind of arrow twice for Arjuna," said Karna. "If you don't want to use my help inside your arrow, then let me go and kill Arjuna myself," pleaded Ashwasen. So Ashwasen went and tried to kill Arjuna, but he was killed by Arjuna instead; for Arjuna was an infinitely superior archer.